It accelerates and intensifies the tone of the tan. 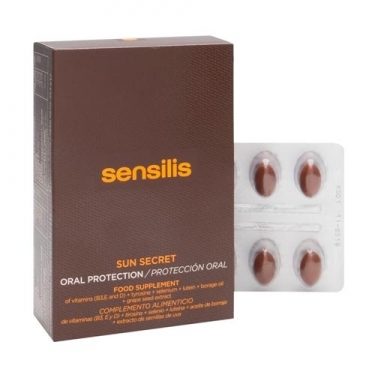 DESCRIPTION: Sun Secret Oral Protection from Sensilis is a dietary supplement of vitamins (B3, E and D), tyrosine, selenium and lutein, with borage oil and grape seed extract, indicated in case of increased needs or decreased contribution with nutrient diet. Selenium and vitamin E contribute to the protection of cells against oxidative stress, which can also be caused by exposure to the sun. Grape seed extract has an antioxidant action. Vitamin B3 and borage oil contribute to the maintenance of healthy skin. Without gluten. No parabens. 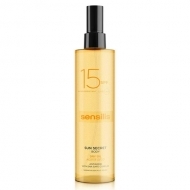 Start treatment one month before sun exposure and keep up to one month after the end of the bathing season.